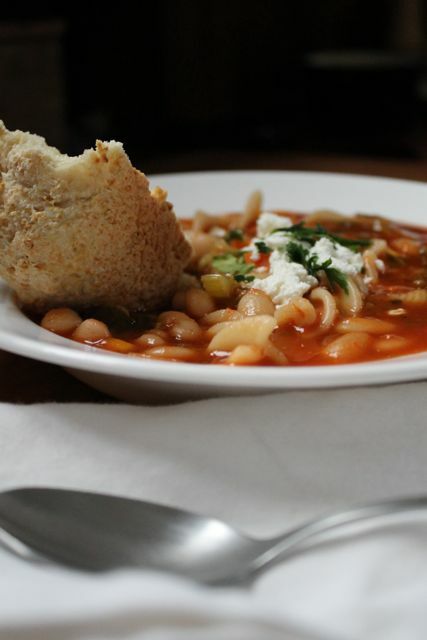 I made this soup last week while we we’re having a few chilly days and below freezing nights – it is Maine and it is spring so why not eat a bowlful of hearty minestrone soup? Enjoy. 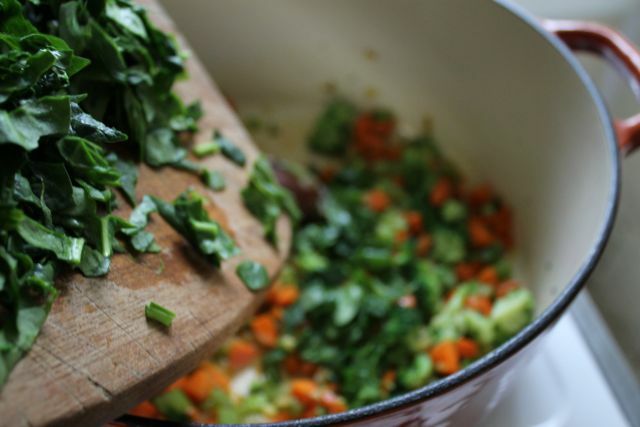 Chop carrots, onion, garlic, celery and greens (either spinach, kale, swiss chard). Keep each prepared veggie separate from the others. Saute onions in butter until slightly browned, not burned, in a heavy bottom soup pot. Add a bit of olive oil and garlic, cook briefly. 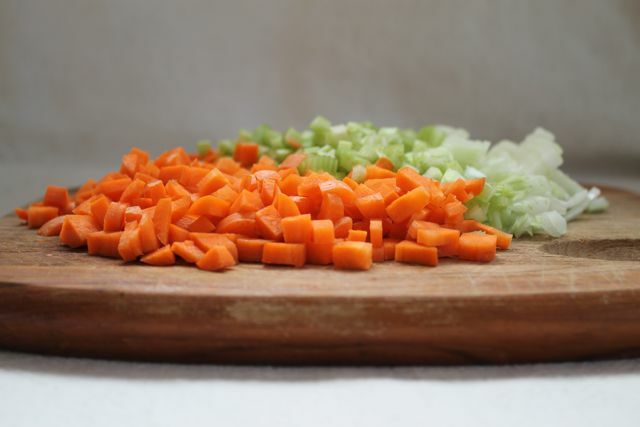 Add carrots – gently cook. 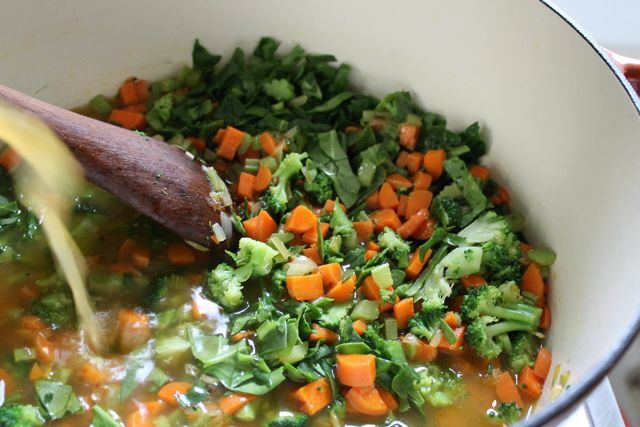 Then add celery – toss and gently cook a bit more. 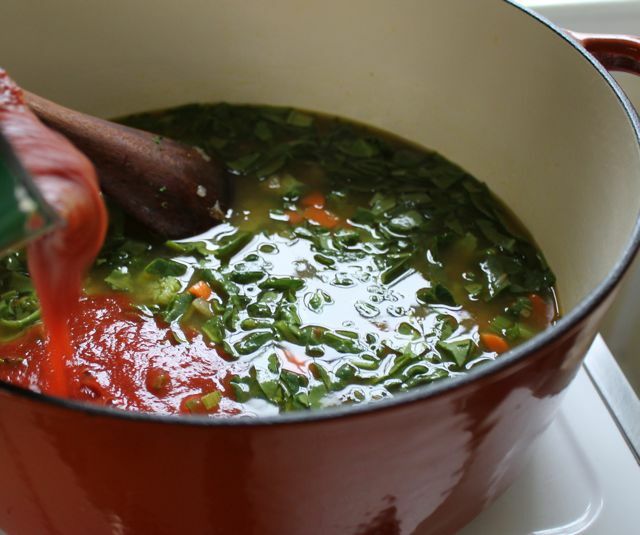 Add crushed tomatoes (the entire can may not be necessary). Boil gently for about 5 minutes. Turn down heat to simmer. Add salt and pepper to taste, finish with generous pinch of fennel seeds + bay leaf. Simmer on low about 40 +/- minutes, covered. 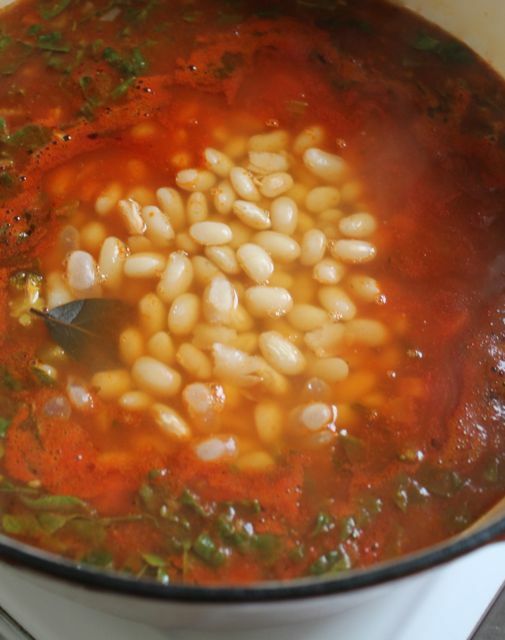 This entry was posted in baking recipes, cooking recipes, eating, everyday life, home and tagged making soup, minestrone soup, rustic cooking, spring time in Maine, using beans by ripe red berries. Bookmark the permalink. My favorite!!! 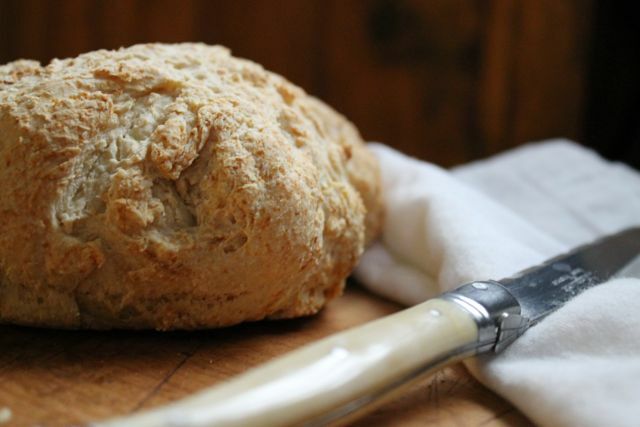 Fresh bread and a pot of hearty soup on the stove…so satisfying, and a simple sense of contentment. 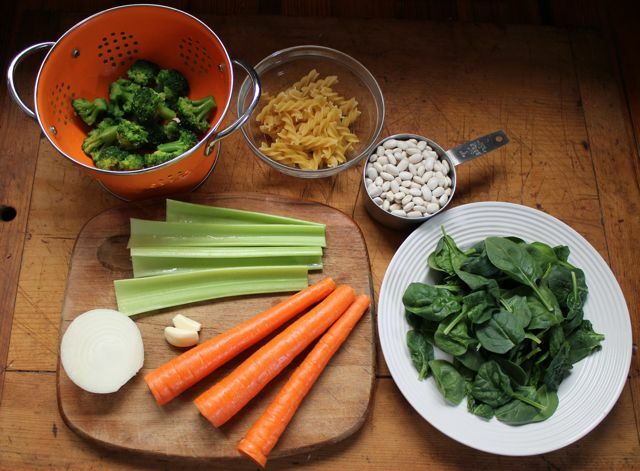 Love the addition of lemon juice….love your food pics!! !